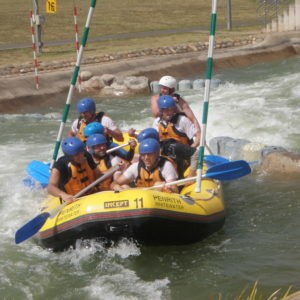 Sydney & Melbourne Urban Challenge multi Adventure team activities. Superb next step from Amazing Races and Treasure Hunts. ENGAGE! Bushsports corporate and custom events are a once-in-a-lifetime experience that participants won’t forget. Learn how Sydney and Gold Coast Challenges can motivate your team to be fitter, more mentally agile and capable to achieve more. The street version of Urban Challenge is where it all began. » Ready for your corporate team to take on a new challenge? » Looking for a thrilling event to develop teamwork? » Need a memorable company social and fun event? Urban Challenges are custom designed. 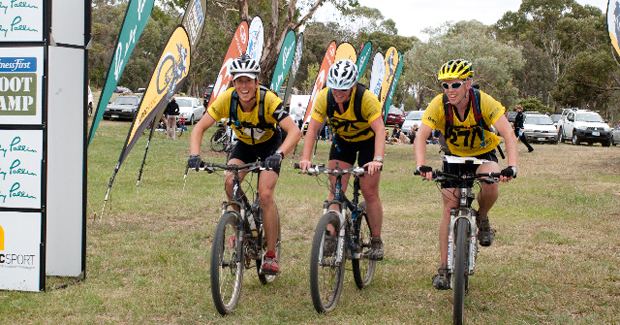 As a street ready adventure race for your company or group in any city, conference venue or location you desire. » Team Building, Being resourceful, Problem Solving, Communication, Strategy development, Fitness without boot camping. Length of the Urban Challenge events, physical demands, and mental challenges are coordinated to your business and groups requirements. Urban Challenge is great for team building as it provides a good environment for conflict resolution, different communication styles, and leadership. All wrapped up in the guise of fun! Urban Challenge is also a great social event for conventions or conferences. Allowing participants to get out of the hotel and see the spectacular city they have traveled to. Participants will talk about the Urban Challenge experience for weeks past the event. as referenced by Event Solutions. The object of Urban Challenge is to visit a series of Sydney checkpoints in your own defined order and return to event base at The Museum of Contemporary Arts, The Rocks. The first team back with all challenges and checkpoints successfully completed WINS the coveted URBAN CHALLENGE CHAMPIONS TROPHY. Allowed methods of travel are by foot or public transport — city bus, ferry, train or bike. Extend the excitement with Water Taxis, Bikes, Jet Boats, Segways and sports cars. The Trivia Challenge is held at event headquarters. The Trivia Challenge tests general knowledge with multiple choice questions. A team’s starting position is determined by its performance on the Trivia Challenge. Teams with the highest scores begin first. Teams are released from event headquarters in groups arrayed by their Trivia Challenge score. To enter the chute, your Trivia Challenge score, team number and release group are verified. The official event clock begins the moment the first team leaves event headquarters. Approximately 10 minutes later, the lowest – scoring teams will leave event headquarters. An official event clock times all teams. On the The Clue Sheet. Teams receive a Checkpoint Clue Sheet moments before they’re released from event headquarters. The locations of all twelve checkpoints are embedded in the clues on the Checkpoint Clue Sheet. There is no set course to Urban Challenge, nor are checkpoints marked. Teams prove they visited each checkpoint in the correct order by photographing themselves at each checkpoint. Both team members must be in the photo. At the finish, the loaned camera is returned and the photos verified. Bushsports Urban Challenges ends within set time from 2-5 hours after the first team leaves event headquarters. Teams that have not returned to event headquarters within the time limit are eliminated. All teams are required to return to event headquarters. Top ten teams at local race have no entry fee at the Sydney and Melbourne City Chasers Championships. Get ready for the most amazing race of your life. Based off our nationally acclaimed adventure race, your group’s Urban Challenge will be an event in which teams frantically solve clues to find hidden checkpoints in their city. Participants navigate the urban landscape with their feet and public transportation. They use provided digital cameras to prove they visited all the correct checkpoints. Participants gather, form teams, and get acquainted in an exciting audio/visual environment. Watching on giant screens, teams answer 30 trivia questions. Teams are immediately scored and ranked into starting groups broadcast on the screens. Smartest teams leave first, getting their checkpoint clues as they cross the start/finish line. Teams solve clues and find checkpoints, traveling on foot and using public transit. When all checkpoints are found or at a given time limit, teams return and winners declared. Teams relax, eat, drink and delight in the stories of the day.